Offer valid today only, April 1, 2016. Some restrictions may apply. 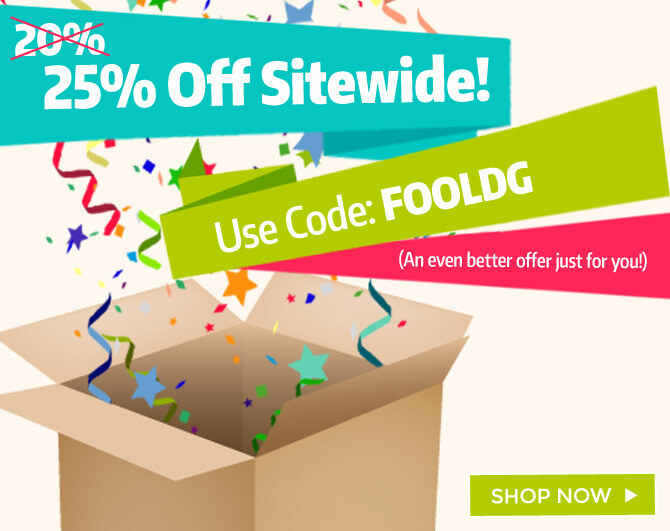 Use code FOOLDG at checkout to receive 25% Off.